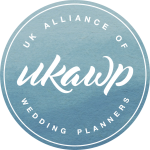 We are immensely proud of the quality of our approved wedding planner members. Hiring a wedding planner to assist with your wedding can be incredibly beneficial. Hiring an expert that can advise of the best venues and suppliers to use, gives you reassurance for your wedding. Please select the relevant county to find some suitable planners. Whatever your wedding style, from luxury to alternative – we have you covered.